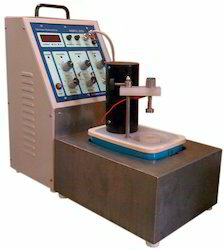 Electrolytic Metallurgical Polishing and Etching machine for observing fine structure of metal. We are one of the widely acclaimed manufacturers and exporters of Electrolytic Polishing Etching Machine. The offered electrolytic polishing machine is specially designed to polish the metallurgical samples. Our exported electrolytic polishing machine is capable of supporting the circulatory flow of liquids. EATCHER 2000 is unique equipment designed & manufacturing indigenously by taking care of all themetallurgical aspects, standards &requirements. 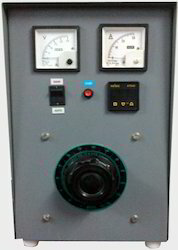 Well-experience & established metallurgist working in thefield of failure investigation & damage assessment of the component has developed it.The unit consists of variable DC source for etching purpose with digitalampere meter and precise second timer. The unit is supplied along with necessary cables. The unit is also available as per customer requirements and specifications. The unit can be used for polishing small parts.